You know what never gets old? Witnessing someone humble and deserving being continually acknowledged for their talents, despite their modesty. Which is why seeing Jennifer Lawrence, one of those especially modest yet superbly talented human beings, win award after award is so completely gratifying. Even if it may not hold the same excitement it used to, because it's sort of expected at this point. What I'm trying to say is, it shouldn't come as a surprise that Lawrence clenched an MTV Movie Award on Sunday. The Mockingjay star won the first 2015 MTV Movie Award on Sunday (April 12) for her haunting musical performance in The Hunger Games: Mockingjay, Part 1. The somber song, titled “Hanging Tree,” was a breakout hit, debuting at no. 12 on the Billboard Hot 100 back in December. Listen, MTV News really wants her to release an album and I can get on board with that because I can practically smell her Broadway debut. 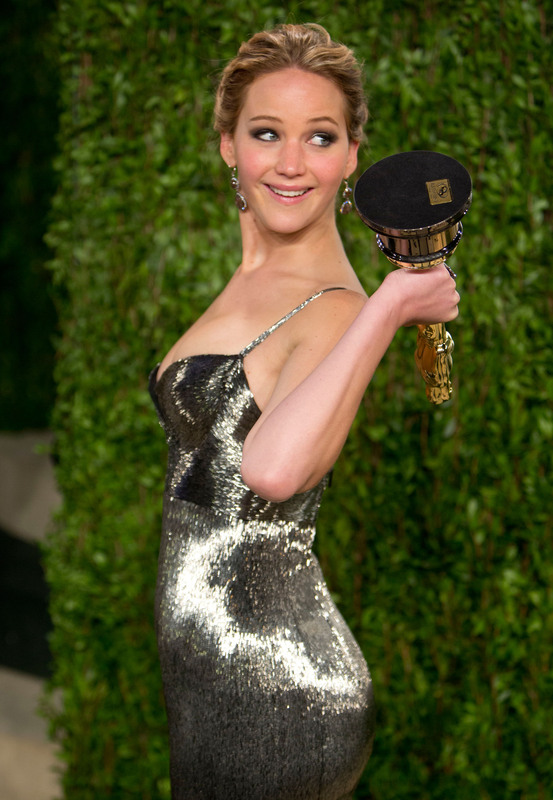 Now that this glaring inevitability has been brought up and we can openly acknowledge that an EGOT is actually probably within her grasp, let us muse on some other awards J. Law can pick up on her trip to the award store, AKA her life. But you know, fun ones that don't necessarily have to do with her career. OK, OK, some will. I promise. For expertly dealing with paparazzi. She should probably thank her parents for some A+ genes. OK, I guess she's not an official comedian but we'll make an exception. She has us laughing 99 percent of the time anyway. Is there an award for honesty? Who cares, let's give her one. No one even asked, but it's cool. Do you, J. Law. Oh, girl. You shouldn't have. ALL OF THE BROWNIE POINTS!